The Sunset View Club is located nearby the sweeping, lush fairways of the international 27-hole Golf del Sur course. 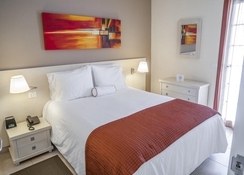 This family friendly hotel is surrounded by elegant parks and gardens and offers a relaxed atmosphere along with an excellently designed interior and beautifully furnished accommodation with ultra modern amenities. 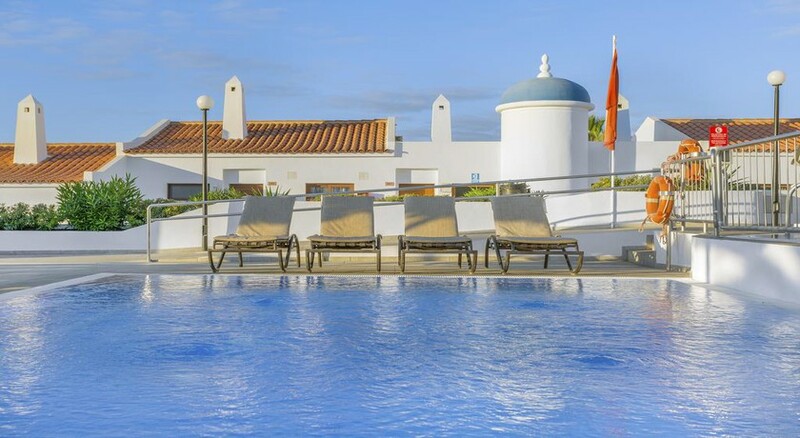 Guests to the Sunset View Club can relax on marvellous beaches and explore countless attractions such as Aqualand in Las Americas and Tenerife's Zoo and Jungle Park, or just stay put and enjoy the huge range of facilities available in the Resort along with panoramic views of snow-capped Mount Teide volcano. Reina Sofia International Airport (south) is 20 km from the Beach Club. 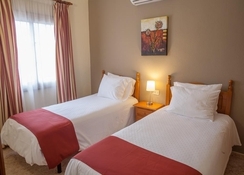 The facilities at the Sunset View Club are of the highest standard with excellently maintained gardens and accommodation offering everything you need for a relaxing holiday. Food, drink and entertainment: Self catering apartments with full kitchen facilities. The hotels onsite restaurant "Little Italy" is open from 9am to 12pm daily. Sports, games and activities: Close by are a number of beaches, as well as good restaurants and some of the island's most scenic villages. Additional: Concierge assistance, currency exchange, telephone, car rental, laundry, book library, Internet kiosk, Wireless Internet Access is available in public areas and charges are applicable, various excursions, coin operated washer and dryer, apartment safe hire, parking onsite. Disabled friendly units are on the ground floor but must be requested directly with the resort in advance. The reception is open from Tuesday - Saturday 08.00am - 16.00pm & from Sunday - Monday from 08.00am - midnight. The Sunset View Club offers beautifully furnished one bedroom apartments, each with a private balcony or terrace, and equipped with everything you could need for a wonderful vacation including hair dryer, safe, ironing board, kitchenette, satellite television and a stereo. Some units have dishwashers and washing machines. Perfect spot for a relaxing holiday away from all the hustle and bustle! The apartment itself was absolutely immaculate, complete with garden, outdoor table and sun loungers (which was completely unexpected). The staff at reception could not have been more helpful or friendly and the location is perfect for those wanting to get away from it all, but also a short bus trip away from the nearest towns. We did not eat at the hotel restaurant itself, which looks slightly dated, however, all nearby restaurants are absolutely fantastic. The restaurant Tapas n Chill was a favourite for us and we dined here on more than one occasion during our stay. Despite the location being right on the coast, there is actually no beach which was a surprise to us. We had to get the bus into Los Cristianos to enjoy some beach sunbathing. Overall, we would not hesitate to return to Sunset View Club as it was definitely value for money.